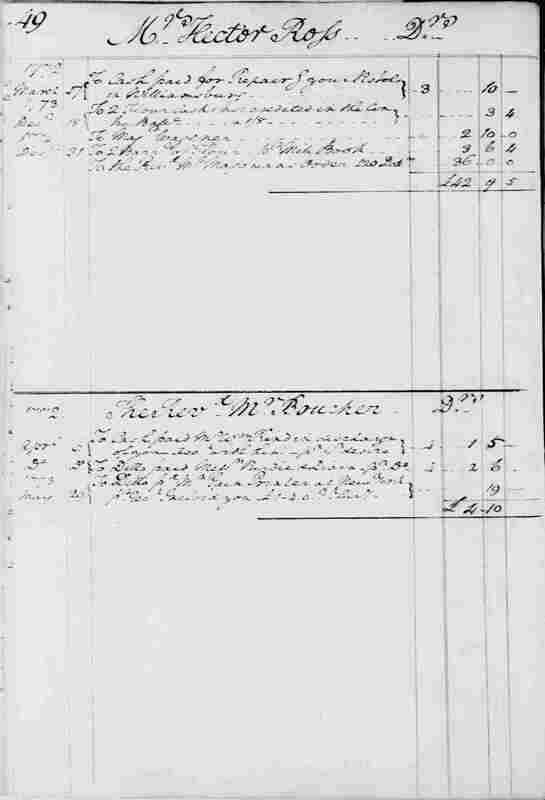 Line 11 - In a letter to Jonathan Boucher of 5 Aug. 1773, GW mentioned the sums of money he had paid on Boucher's account to various printers, including New York printer Hugh Gaine (d. 1807), "Whose receipt" GW was enclosing. Boucher never repaid GW for the sums paid to the printers, and after Boucher permanently left for England in 1775, GW wrote off his debt of £4.10. 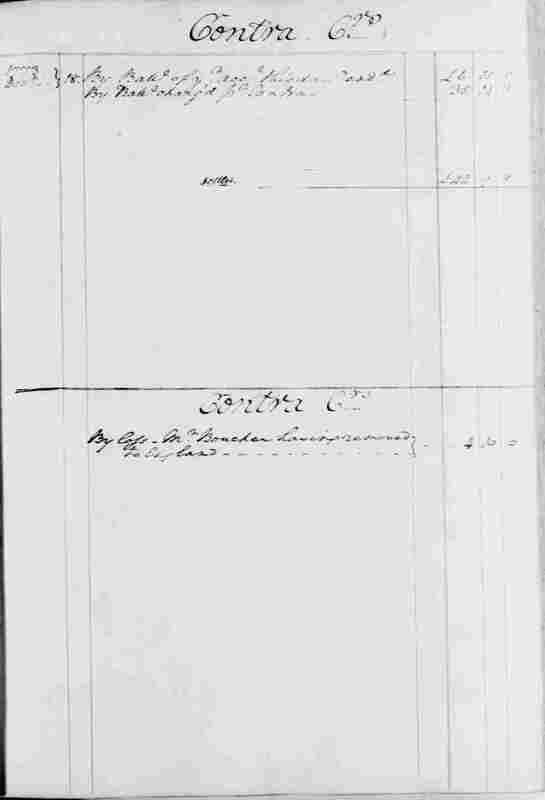 See GW to Jonathan Boucher, 5 Aug. 1773, and n.2 [Rotunda | Founders Online | Print (Colonial Series, Volume 9, page 297)]; see also Ledger B, 49, credit side, line 6. 11 [*] 1773. May. 29.